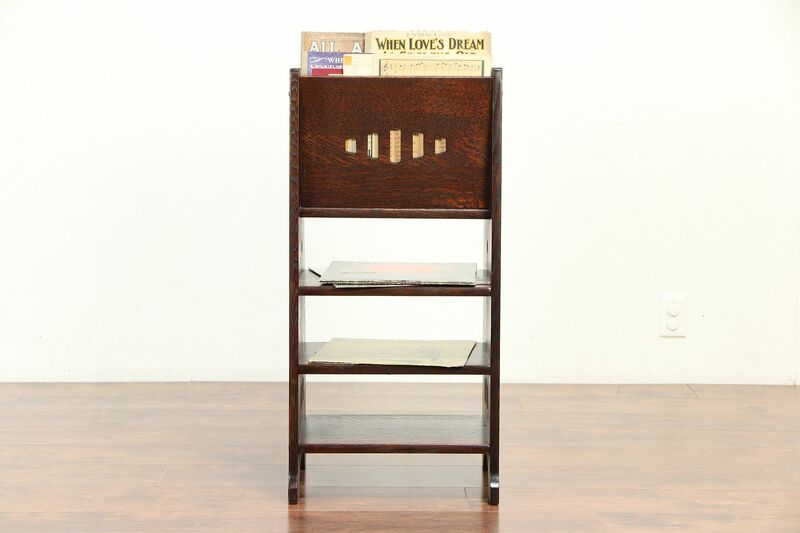 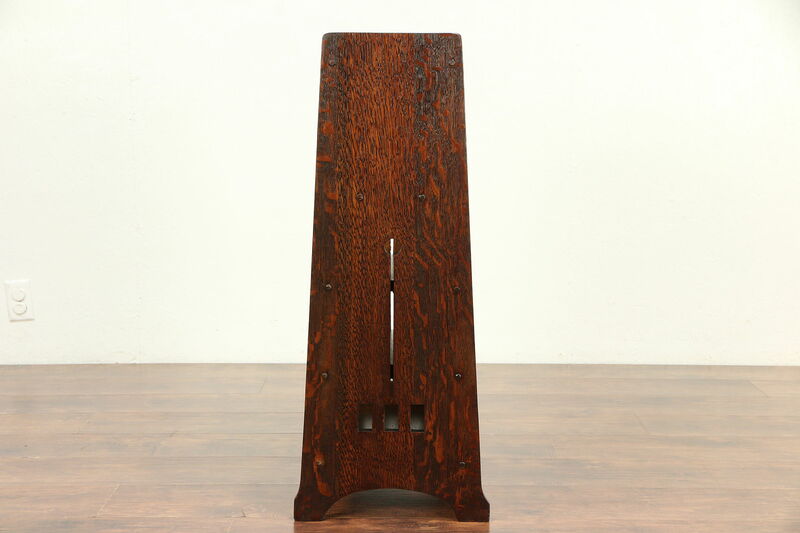 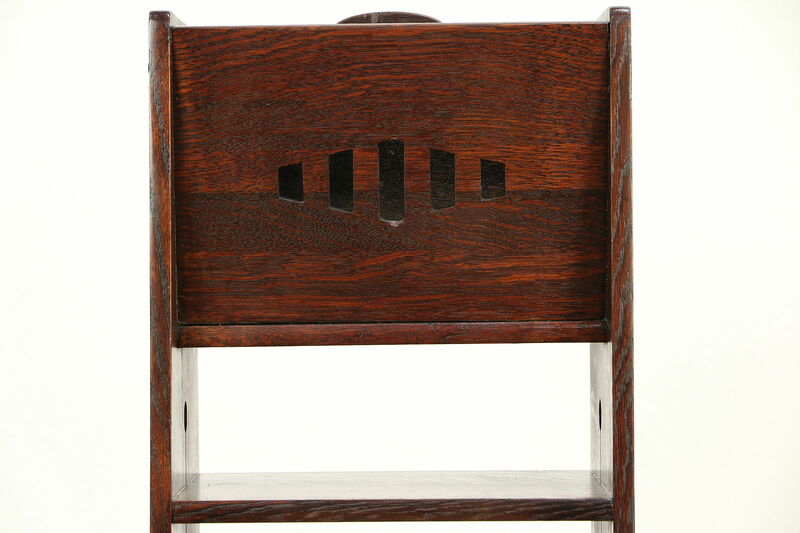 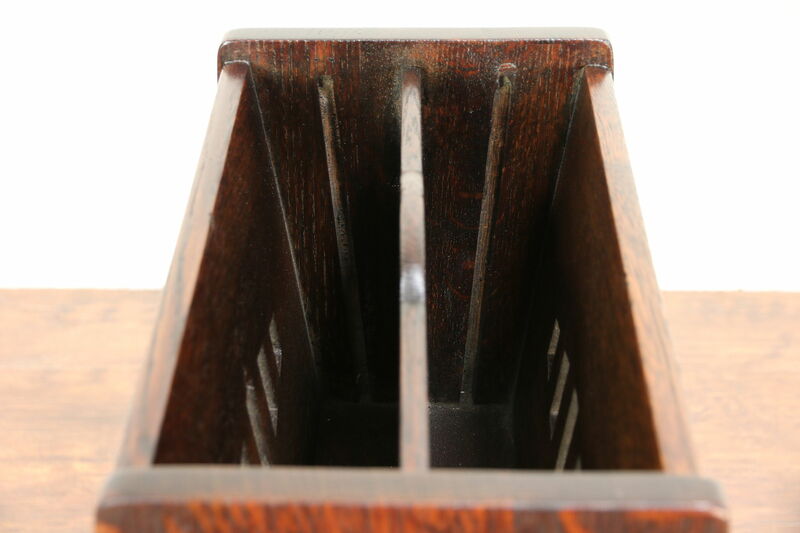 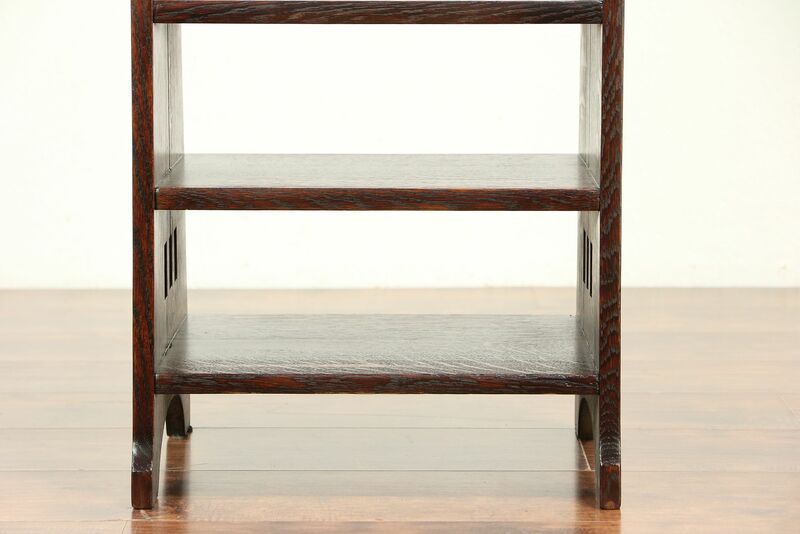 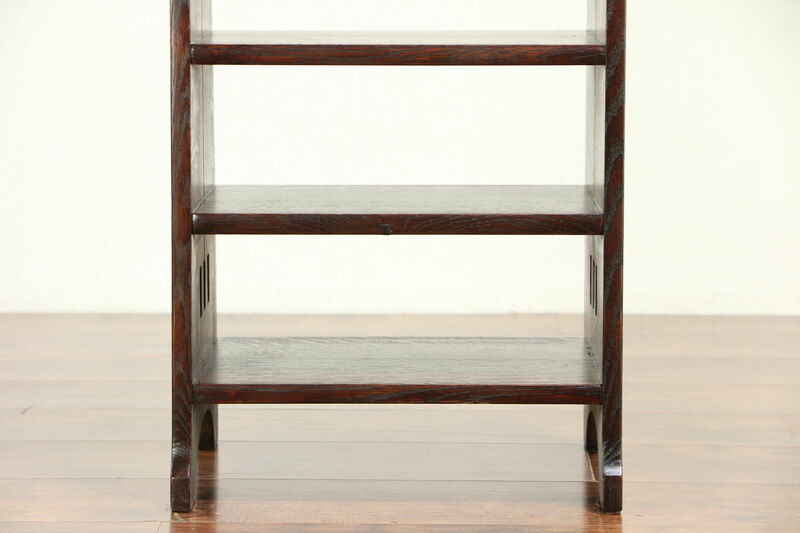 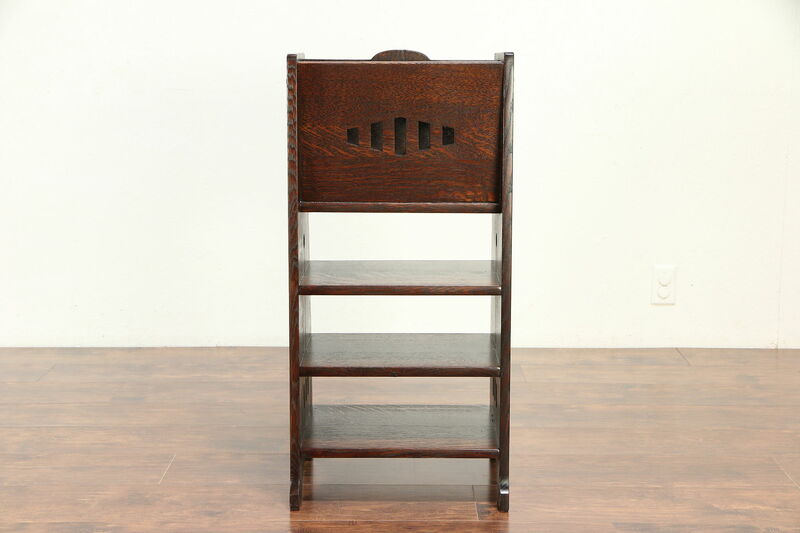 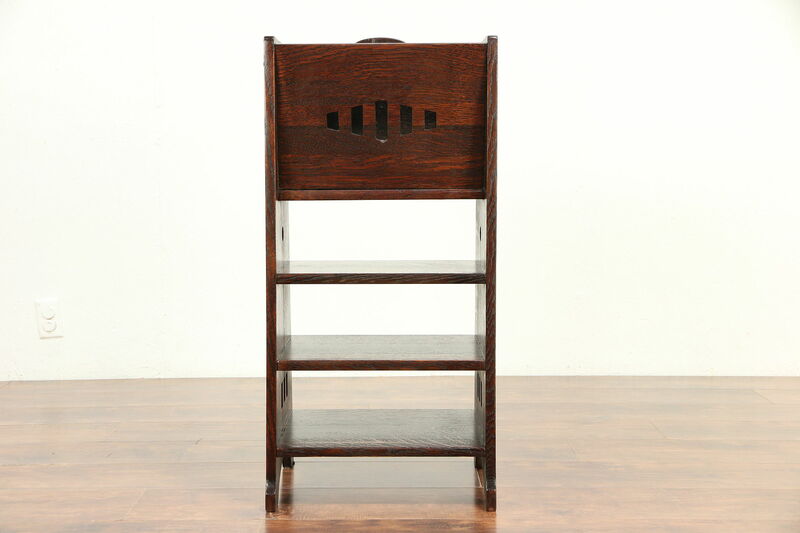 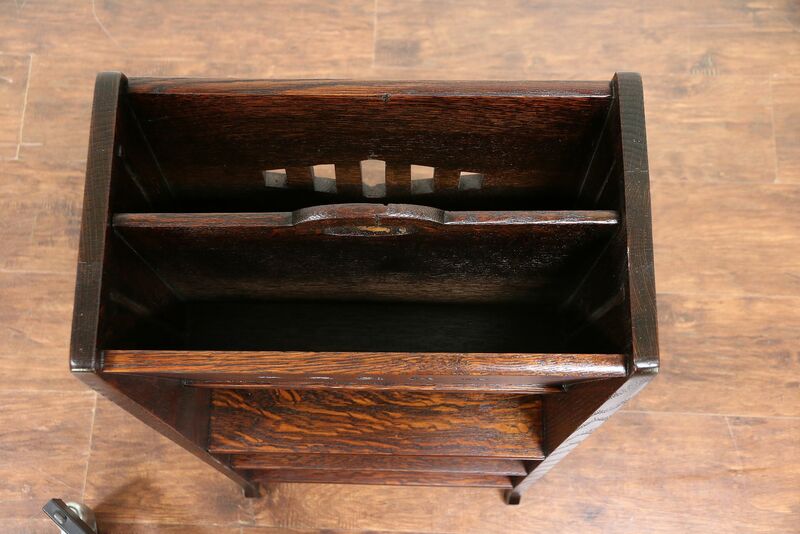 A bookshelf with magazine rack is from the Arts and Crafts or Mission Oak period about 1905. Solid quarter sawn oak, there is a handle hole in the center. 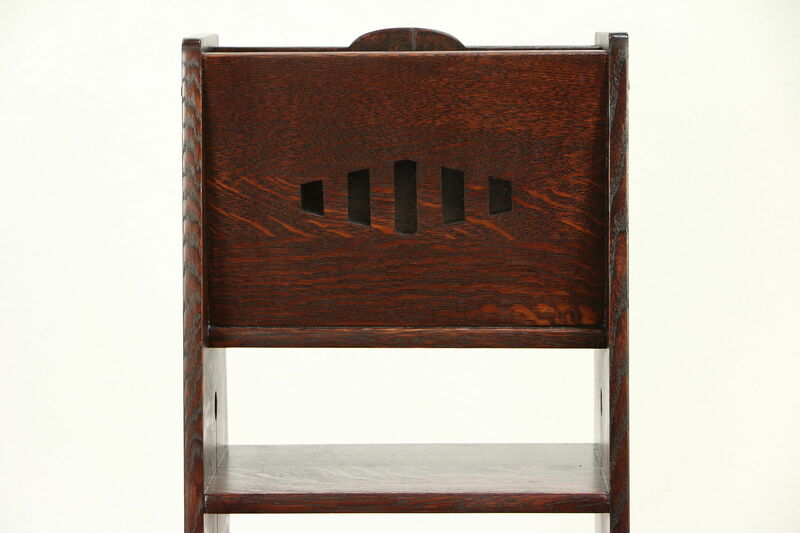 The restored deep finish is in excellent condition, preserving a few mars at the edges for a little antique character. 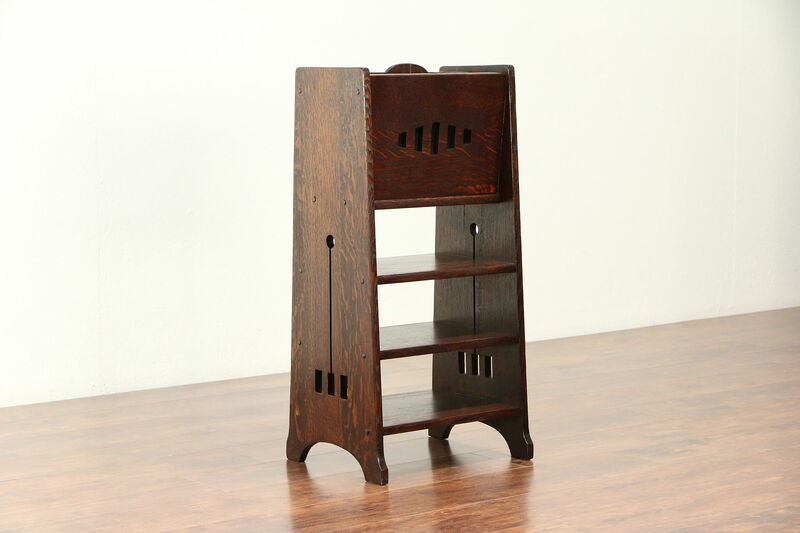 This antique Craftsman furniture is American made. 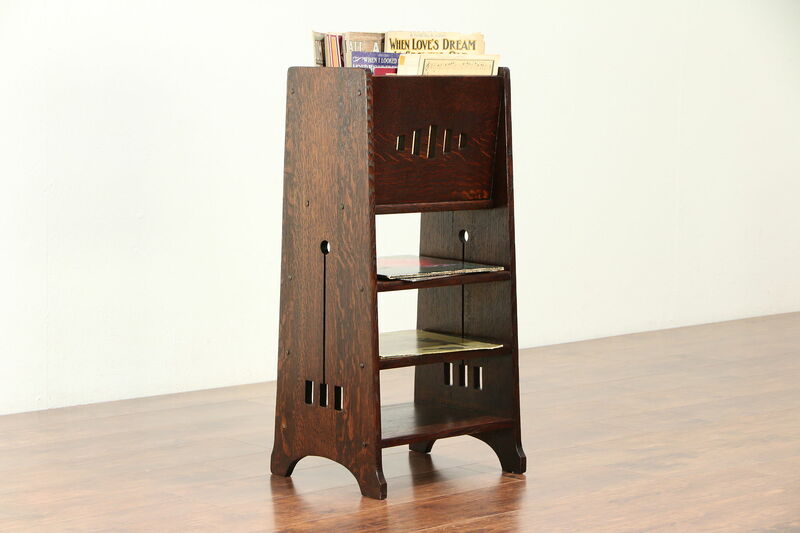 Size is 16 1/2" wide, 14" deep and 34 1/2" tall.